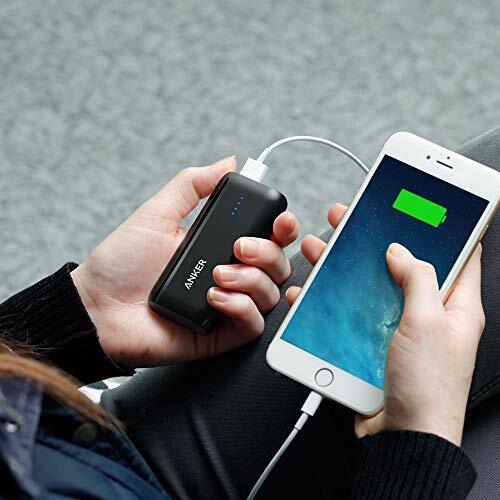 High Capacity: Add two charges to an 6s, almost two charges to an iPhone 7, or at least one full charge to a 7 Plus, Galaxy S7, Nexus 5 or other smartphone. 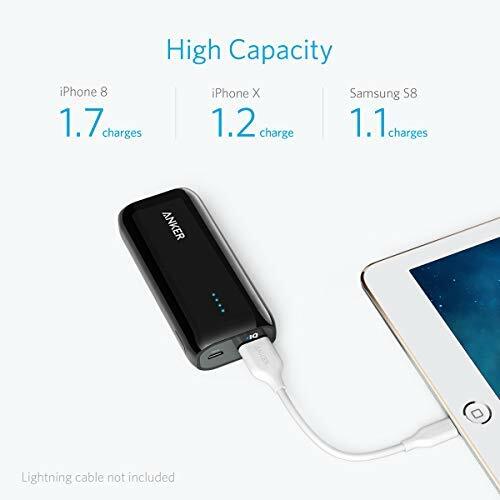 Or even an 70% charge to an iPad mini 3. 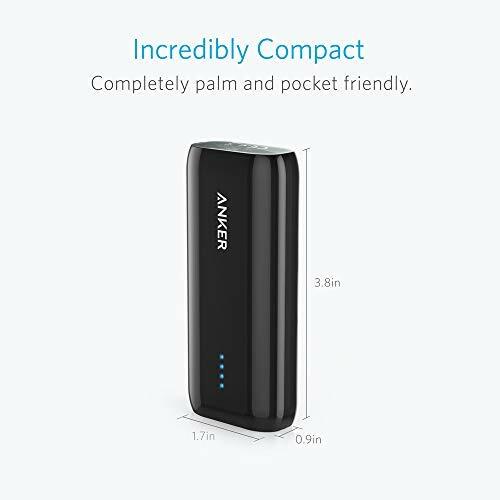 Incredibly Compact: The size of a small candy bar (9.7 x 4.3 x 2.3 cm) it fits perfectly in your pocket. 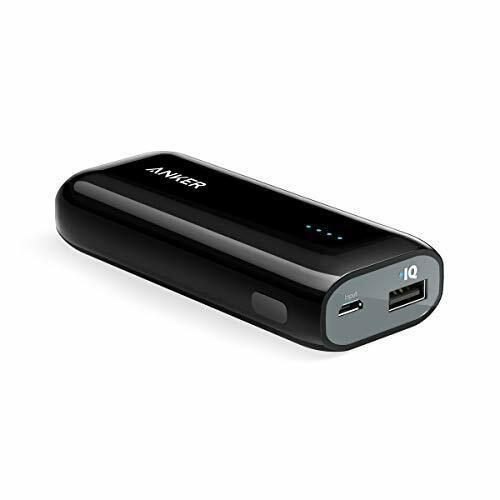 Recharges in 5 hours with a 1A adapter (not included) and the included Micro USB cable. 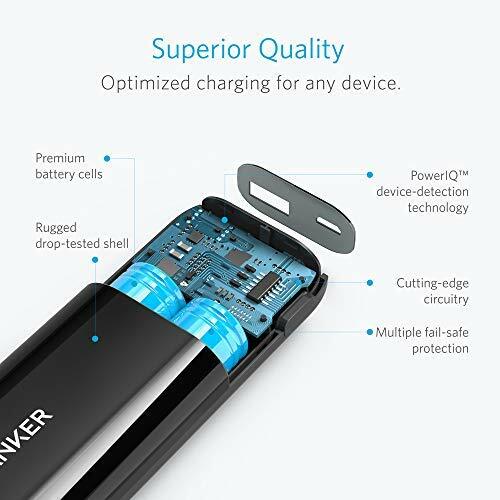 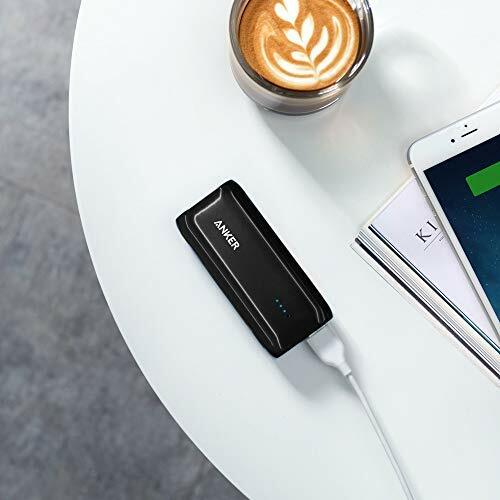 What You Get: Anker Astro E1 Portable Charger External Battery Power Bank, Micro USB Cable, travel pouch, welcome guide, our fan-favorite 18-month warranty and friendly customer service. 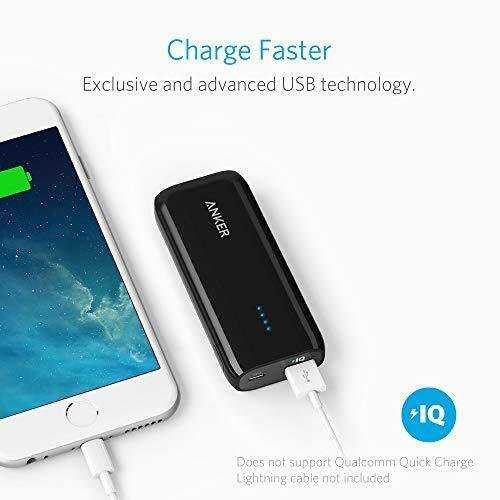 USB-C cable and Lightning cable for iPhone / iPad sold separately.